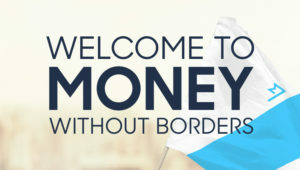 The Estonian-founded money transfer company, TransferWise, has opened its borderless account – formerly only meant for businesses – to private consumers. In addition to the account, the company’s customers will also get access to a MasterCard debit card. From 9 January, thousands of existing TransferWise customers have access to the new service, and, according to the company, several thousand more will receive invitations to test the debit card in the coming weeks. The company said the service will launch publicly later in the first quarter of 2018. The borderless account enables people to hold and convert 28 currencies at a real exchange rate, with local bank details for the UK, the US, Australia and Europe. According to the company, this means people can send, spend and save money as a local, as well as getting paid around the world with no fees no matter where they live. TransferWise said over two million people used its international money transfer platform to send over €1.5 billion every month, which means “they are saving over €2 million every day” compared with using other providers. The company employs 900 people in nine countries.